What about that big jolly guy in the red suit? Modern tradition has built him up to be larger than life with a magical sleigh & reindeer. But the real Saint Nicolas was a man who loved God and had a heart for his people. Learn about the history of Santa and take the Christmas history quiz with your kids! Join me and Pastor Waxer Tipton as we finish our conversation about how to pass on family traditions based on the movement of the early church and the historical account of Saint Nicolas, Bishop of Myra. 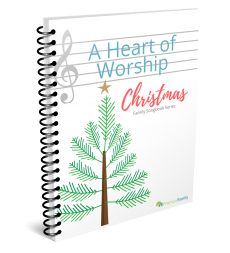 Subscribe to get our free Heart of Worship printable and more updates on new resources for your family!